FCM stands for Forges & Chantiers de la Méditerrannée. It was an old renowned shipbuilder of Toulon, which had laid the keel of dozens of dreadnoughts, cruisers and destroyers for the needs of the Mediterranean fleet. 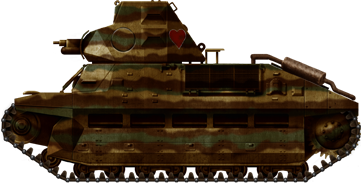 When Hotchkiss first proposed, in 1935, to mass-produce a simple and cheap infantry tank, the Army turned to others contractors to compete. FCM was among them. 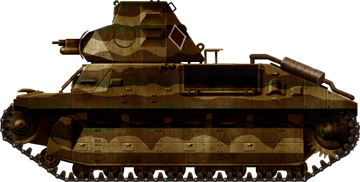 After working on the gargantuan FCM 2C (or simply known as “Char 2C”), delivered in 1921, the company was involved deeply with the B1 project. FCM took the gauntlet once more and Chief Engineer Boudrot was ordered to study a modern design, taking full advantage of electro-welding, well mastered by the yard. This technique was perfectly suited for mass-production and was also gas-proof, a well-desired quality for trench warfare. The suspension called for the well-tested vertical coils, which gave a reasonably smooth ride, but low speed. The name is given by the army designation, formed from the name of the builder and the year of acceptance into service. 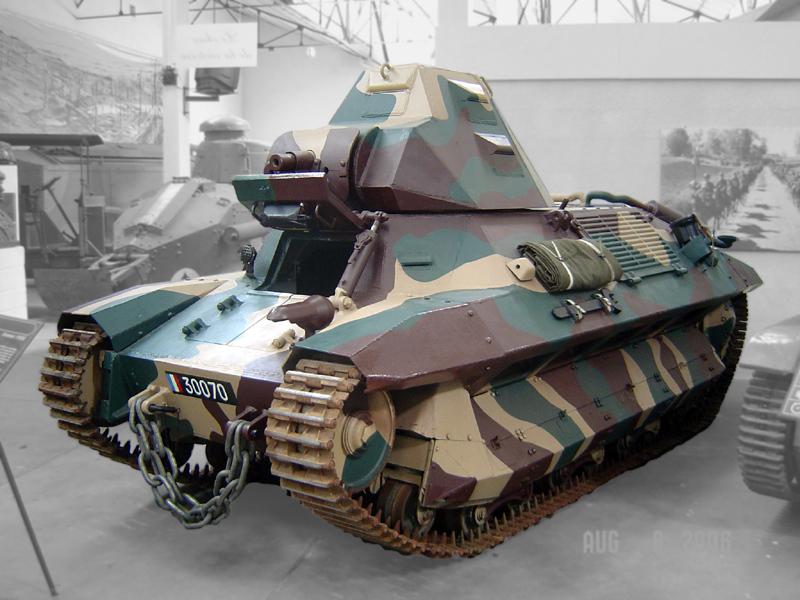 At first, the rough angles and sloped sides of the FCM 36 looked quite advanced for its time. Indeed, the hull was designed and tested to deflect low-velocity shells and resist against higher-velocity ones. 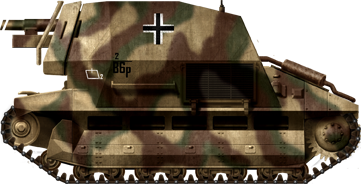 The zigzaging side skirts had 30-45 degree angles, which were equivalent to 44-55 mm (1.73-2.17 in) armor thickness. However, there was a backside to this, as the design of the upper track side skirt tunnel failed to evacuate mud correctly in trials, despite being pierced by five mud chutes. Instead of working on this defect, several other track models were called upon and tested. The hull was still narrow, but roomy for a two-man tank, with good compartmentation, having the engine and transmission placed at the rear. The suspension consisted of eight road wheels per side sprung by eight vertical coil springs. The Berliet V4 engine was economical, but, in accordance with the specifications, the top speed was rather limited. 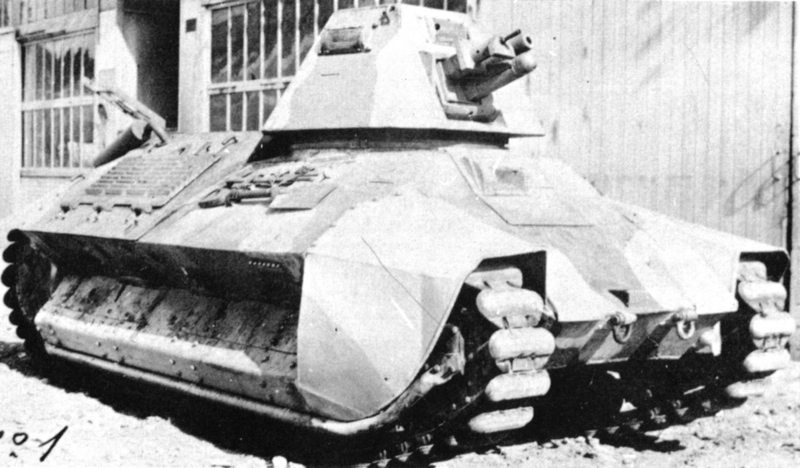 The APX-1 turret, entirely welded, was high and angular, equipped with two side vision slits. 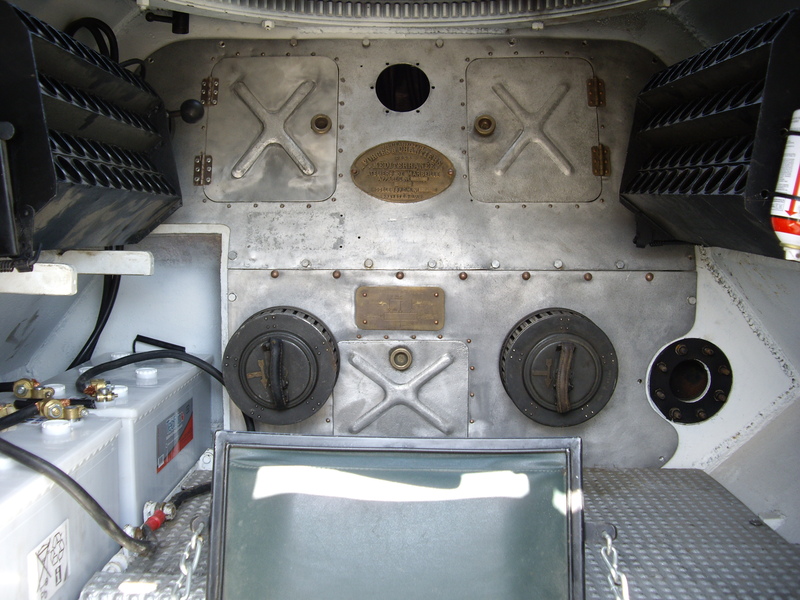 There was also the usual rear hatch for the commander, on which he sat, half outside, to look around at cruise speed. As customary, the commander was also the gunner, loader and machine-gunner. The SA18 gun was seen nearly obsolete at the time. It was expected to have it replaced with the new long barrel SA38 after the first batch, which had good antitank capabilities. Tests were performed to adapt it, but the turret ring was too weak and, along with other structural weaknesses, led to the cancellation of this project. Nonetheless, the manufacturer included a notice to mount the new gun at a later date. The Berliet diesel, a sturdy and proven truck engine, was practical and reliable, giving a 225 km (140 mi) range with just 217 liters of fuel. In March 1934, a wooden mockup was presented to the army, followed by a prototype on 2 April 1935, shown to the commission of Vincennes. The hull made good impression, although being slightly over the top weight specifications. During the tests, which lasted until June, the vehicle encountered mechanical problems and was sent back to the manufacturer. When it was presented a second time in September 1935 the hull and turret were lightened, the suspension revised and a new bolted engine roof fitted. However, it was again sent back to strengthen the suspension. New trial sessions ran from December 1935 to May 1936. It was up-armored in the meantime, using 10 mm (0.39 in) appliqué armor, following a new Army specification. The prototype also caught the eye of the Commission d’Infanterie. Despite a staggering unit cost of 450,000 FF, well above its two main competitors, the Renault R35 and Hotchkiss H35, the Rhineland crisis compelled the government to require its acceptance in May 1936. The cost was an issue, but the model was seen as more advanced and promising than the others and a good basis for future development. A first batch of 100 was ordered, to be delivered as soon as possible, but FCM was not prepared until December 1936 to start to setting up the manufacturing line. Production was further delayed by the testing of a new prototype with a more powerful engine and better tracks, which fell short of expectations. Because of this, the FCM 36 was the last of the three infantry tanks officially accepted in service by the army. The first series FCM 36 was indeed delivered on May 2, 1938, and the others followed until March 1939. On the 12th of May the same year, the Army ordered a second batch of 100, followed by a third in February 1939 and an option for a fourth. In the meantime, the manufacturer revised its costs to 900,000 FF apiece, twice the original price, apparently to match its actual production costs. And as FCM was also involved in building the B1, an announcement was made that no FCM 36 would be expected for delivery until September 1940. In the meantime, there were plans to drop the heavy cast APX R turret, used by the R35 and H35, and replace it with the FCM 36 turret, lighter, sturdier and easier to manufacture, although it had still to solve structural problems when firing the new SA38 gun. Despite these plans, the army never bought the second batch, and only the first 100 would see service during the French campaign. 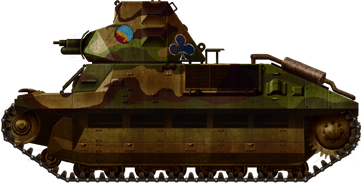 This model, despite a modern and promising hull, was still armed with the obsolete, low-velocity “pillbox crusher” SA-18. It carried only 12 HE shells, driving the French tank crews to despair when they were hopelessly committed en masse against the German Panzerdivisions they were never intended to match. The 100 units were spread between two Bataillon de Chars Légers (BCL), the 4th and 7th, each with 45 FCMs, the others being kept for training and testing. On 25, August 1939, during mobilization, the two units were dissolved and integrated in the 503e and 505e RCC (Régiment de Chars de Combat), later combined with the third BCC (equipped with H35s) into the 503e GBC (Groupement de Bataillons de Chars), the armored reserve of the Third Army. On 13 May 1940, news came that the Germans had secured a brigdehead on the western bank of the Meuse river near Sedan, and the 7th BCC was ordered to counterattack with the support of an infantry regiment. On the following morning, they clashed with light advanced elements of the XIXth Army Corps of Heinz Guderian. They managed to destroy these light vehicles then collided with the main advance, and were found fighting Panzer IIIs. Some of latter were still equipped with the feeble 37 mm (1.46 in) and failed to penetrate the armor of the FCMs. At the same time, the weak SA-18 was completely inadequate even against their 30 mm (1.18 in) of armor. So both sides engaged at point-blank range, maneuvering and searching for weak spots. As usual, German tactical advantages began to tell, and by dealing with each tank individually, they managed to knock out most of the French vehicles. At the same time, the 4th BCC was kept in reserve and was found defending Stonne on the 15th of May. The remnants of the two units were retired and replenished, and then thrown in action again on 9-10 June against German positions on the Aisne river, with some success, but they lost most of their remaining tanks while covering the retreat. After the fall of France the Germans captured 37 FCMs in various conditions. They were overhauled, repaired and stockpiled for other uses. Such a use came in 1943 with the need for new Marder platforms. Under the designation of Panzerkampfwagen 737 FCM (f), ten of these vehicles were rebuilt with a new casemate, housing a 75 mm (2.95 in) Pak 40, employed by the 21st Panzerdivision in the Battle of Normandy, summer 1944. Twelve others were rebuilt as the 10.5 cm leFH 16/18 (Sf) auf Geschützwagen FCM (f). 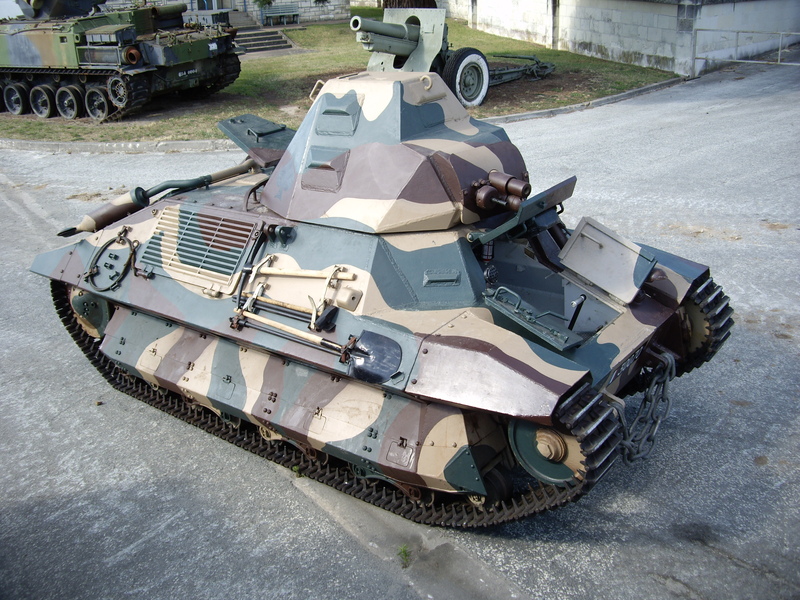 The only surviving FCM 36 in now displayed at the Saumur museum, in full running condition. FCM 36 from the 4th BCL, January 1939. FCM 36 from the 503rd RCC, Meuse River sector, May 1940. FCM 36 with a blended pattern, June 1940, Aisne Sector. Pak 40 auf Panzerkampfwagen 737 FCM (f), XXIst Panzerdivision, Normandy, June 1944. Sources and more : Trackstory n°7, www.minitracks.fr, GBM. 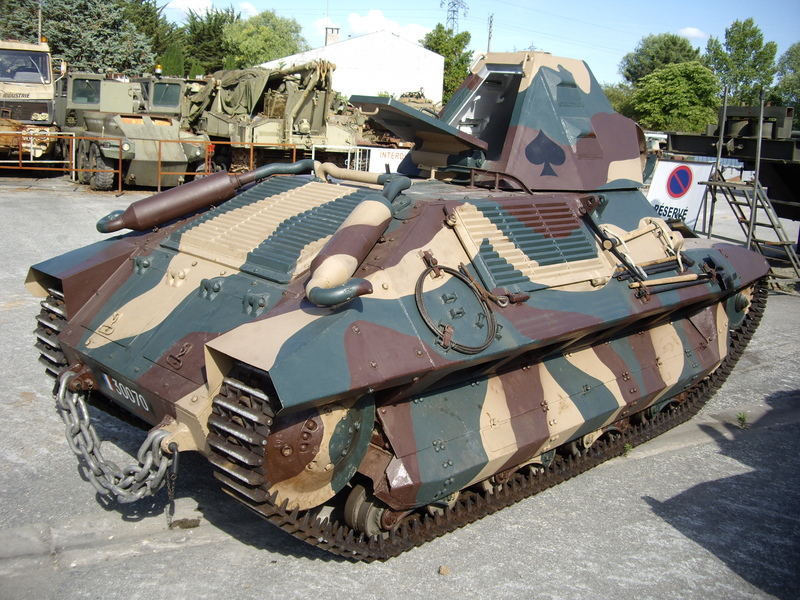 FCM 36 on display at the Saumur museum. FCM 36 interior at the Saumur Museum – Credits: Wikimedia Commons.